“Remind the people to be subject to rulers and authorities, to be obedient, to be ready to do whatever is good, to slander no one, to be peaceable and considerate, and always to be gentle toward everyone” (Titus 3:1-2 NIV). “Love each other as Christian brothers [and sisters]. Show respect for each other” (Romans 12:10 NLV). Beloved brethren, Paul says it is not burdensome for him to repeat certain truths as it serves to keep us focused on the Lord Jesus (Philippians 3:1). Neither is it burdensome to us to repeat ourselves on some things. After prayer, the Lord led us to share this message with you for this week. Please strive to please the Lord and do His will. Now for our message, growing up, do you remember being taught and reminded to have “good manners” and often being rebuked or punished for having “bad manners”? Manners are habits and ways of conscience, of behaving and treating others. In other words, manners are rules that govern human relations in society. How we relate to others is not just a matter of personality, but a matter of manners as well. Many Christians think that the Lord is not mindful about their manners; well they are wrong! The Lord considers us as rude if we display bad manners and such behavior does not represent Christ well amongst both believers and unbelievers (Matthew 5:13-16). There will always be a touch of love in our attitudes when we have acted out of a gentle spirit. It is common knowledge that life is coloured with diversities among which are human personalities just as there are different stars in the sky. While some of our manners are as a result of our upbringing, there are those traits which leave a unique footprint on our personalities, which determines our temperament. What is noteworthy is that we also acquire or adopt some manners and behaviors from other people. From experience, as we get exposed to more people, we adopt and adapt in conformity which leaves an emotional 'tattoo' on our personalities. This 'tattoo' could be reactive, forming habits and patterns of behaviour. Often, bad manners are attributed to a number of things such as ignorance of other's cultures, lack of education, religious background and even family background (racial, tribal, economic, etc.). While these might be good and valid points to get away with uncivilized manners, generally we still stand to reap embarrassment, loss of respect from other people for acting or not acting in a prescribed way. It is true that there is no prescribed universal textbook that teaches good manners, the dominant culture will dictate the acceptable norm of behaviour. These values, which are readily being practiced in a given society are meant for the common good of all. Empirically, our modern legal systems also contribute to our mannerism which is often in the interest of balancing individuals' rights and responsibilities. In this brief work, our intention is not to write a thesis on manners as dictated by world cultures, but proper manners according to what the Bible teaches. While not disregarding the countless rules in human society which are for the mutual benefit of everybody that encourages respect for others, the manners the Bible encourage a change of attitude which must be rooted in the Lord Jesus Christ. 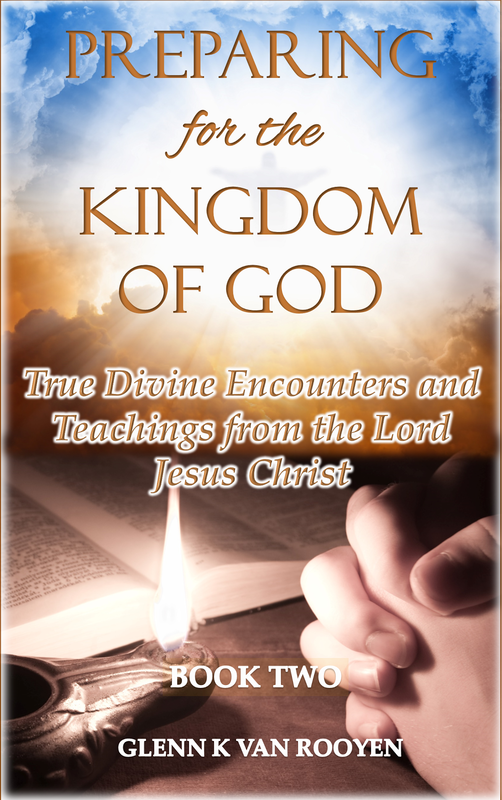 Therefore, in this work, we are directly addressing Christians who are familiar with the Scriptures and the Bible's way of life. The message of the Bible has a universal appeal, and it breaks the cultural divide, uniting us through the truth of the cross, Christ' s love and humility (1 Peter 3:8). Against this Scriptural background, culture should not negatively impact our Christ-like values, for “there is neither Jew nor Greek, there is neither slave nor free, there is no male and female, for you are all one in Christ Jesus” (Galatians 3:28). The appeal for conformity to common behavior has never been stronger in human society than in today’s technological environment. The advent of Social Media has led to widespread conformity to worldliness, which has resulted in the corruption of good and Godly manners (Romans 12:2; 1 Corinthians 15:33). We certainly don’t lament the good intentions someone may have had when they introduced new technology to make life easier. What we are addressing is the spirit that breathes laziness and bad attitudes which corrupted society. The widespread rebelliousness in society today comes through various channels like the television, gaming, Internet, etc. 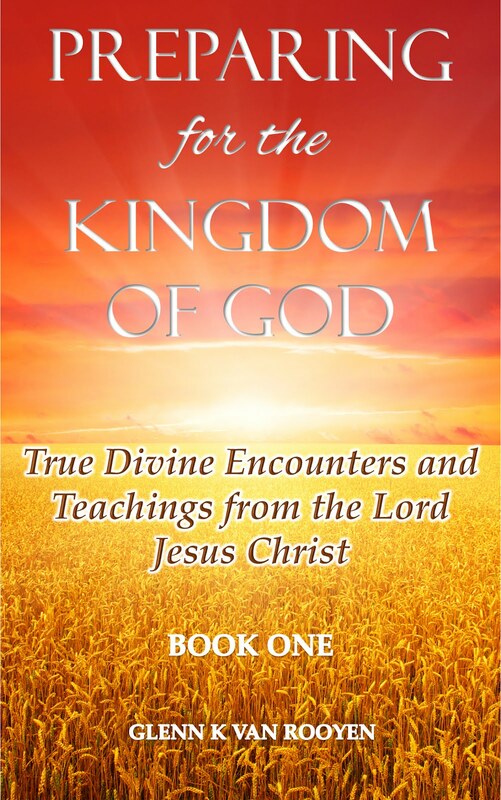 (Refer to Life Through Experiences with the Lord Jesus Christ - Part 1 article). Additionally, however good we might appear professionally and to the world, if our manner do not represent Christ, our efforts are but useless and without eternal values. In Christ, however, we must show our submission to Him and that is the drawing power others will see and desire. Therefore, as the Lord exemplified kindness, gentleness and humility we are equally to possesses these qualities in abundance and these are lofty attitudes to have in serving others (2 Peter 2:8; Matthew 11:29). Generally, our manners are being influenced by the type of relationship we enjoy with other people. for instance if a person has a relationship with us or otherwise has a strong influence on us or in society, we are likely to respond to them respectfully while they are likely to return the favour. Being Christian, displaying such mannerism does not issue from the heart but from fear for men. The Bible clearly warns us against showing favoritism or partiality (James 2:2-4). A truly God-fearing Christian will at all times and consciously “Show proper respect to everyone, love the family of believers, fear God, honor the [leaders]” (1 Peter 2:17). As a reminder, in our article Life Through Experiences With The Lord Jesus Christ - Part II, we related how the Lord in messages to us issued corrections to some brethren for not saying “Please” and “Thank You” (1 Thessalonians 5:18). By His corrections, the Lord expressed His disapproval if we are in the habit of yelling and screaming at other people including at our children. This, He confirmed does not come from a spirit of love. We must also remind you that making ugly faces and gestures are ungodly and offensive. It is a known fact that our outward expressions show the condition of our hearts. We are to exude the fruit of the Spirit (Luke 16:14; Galatians 5:22-23). It is courteous to gently ask for something instead of being demanding. Further below we discuss a few Christian values which are a must for all Christians. Disrespecting older people. We recall a rebuke by the Lord to a brother who did not show proper respect to an elderly person. We are admonished by the Word of God to "Stand up in the presence of the aged, show respect for the elderly and revere your God. I am the Lord" (Leviticus 19:32). Also, the Bible says: “Do not rebuke an older man harshly, but exhort him as if he were your father. Treat younger men as brothers” (1 Timothy 5:1). Slandering, complaining, and saying evil things about parents (Exodus 21:17; Leviticus 20:9; Jude 1:16).The Word clearly says “Cursed is anyone who dishonors their father or mother” (Deuteronomy 27:16). Willfully being slow to reconcile and forgive others. Neither should we give in to unforgiveness or being easily offended; the Bible admonishes us to be kind, to forgive and seek reconciliation (Matthew 5:24; 6:15; Mark 11:25; Ephesians 4:32). Not being cheerful or smiling while witnessing or talking to people. A cheerful attitude is 'felt' (Proverbs 15:13; Proverbs 18:24 NKJV), even while talking on the phone! Smiling is impactful and welcoming. Not appreciating what others do for you (Colossians 3:15). Those who are appreciative, the Lord is opening 'new' doors for more blessings (Luke 17:17-20). Interrupting conversations without excusing yourself (saying “excuse me”) and 'cutting' people off while they are still talking (Proverbs 10:19; Proverbs 21:23; James 1:19). Not greeting or being hospitable to guests (1 Peter 4:9). Many young people nowadays are in a habit of not coming out of their rooms to say hello to guests – they stay in their rooms sleeping, surfing the internet, or being busy playing on an electronic gadget, all while ignoring the presence of guests. This is an unwelcoming and rude attitude! Good hosts and their children have learned to say hello and also offer a refreshment even if it is just water, juice, or tea (Hebrews 13:2). Abraham and Sarah showed good manners in this area when they welcomed the Lord and two angels who visited them (Genesis 18). The Bible encourages us: “Do not forget to show hospitality to strangers, for by so doing some people have shown hospitality to angels without knowing it” (Hebrews 13:2). And as a warning, by not being hospitable, we could be rejecting the Lord Jesus, and consequently missing out entering heaven (Matthew 25:41-43). Taking, using, or demanding things, instead of asking (Luke 11:9-10). What further impacts our manners is leaving of clothes, books, and other items scattered around our homes and others' homes when we visit (Romans 12:11 KJV; Proverbs 18:9). Refer to the article on Cleanliness and Tidiness. Not asking others to excuse us when leaving their presence is being rude and not communicating timeously when you have a change of plans is equally disrespectful. Always being late; not Being on Time. Allowing children to interrupt events (meals, praying, worship, etc.). One of the things parents are to teach children in training them up in the way they should go is good manners (Proverbs 22:6). At a buffet or shared meal, overloading your plate and not thinking about others. Refer to the article on the Spirit of Gluttony. It is better to take less and return for seconds after everyone has been served (Luke 14:8). We are not advocating the above as new rules, laws, or commandments. As Christians, we understand that we should be a light to shine in this dark world; good manners help promote peace and give believers a chance to be a true light and draw attention to Christ (Matthew 5:14-16), for “God is not the author of confusion (disorder) but of peace” (1 Corinthians 14:33). As a boy, I had a friend John who grew up in a loveless home. He would whisper to me how he longed to live in a normal home where there was love. All he knew was strife, quarrels and no peace. He once related to me how he used his kindness and respectful behavior to survive his hostile environment. Personally, I have known him to be a very kindhearted person who always operated in the background, not forward or being impetuous however he was noticed for his quiet and obedient spirit. By some of the habits he had, I observed how some of the bad things he was exposed to ‘choked’ him and influenced him to conform ungodly behaviour. however, when was in his early 20's he wisely accepted the Lord and the impact of his relationship with the Lord brought about a great change in his life. Sadly though, he recalled that some of his peers exploited his good nature for personal gain and mistook his kindness for stupidity. Remember, the Lord delights in a well-mannered Christian. I have heard the Lord giving very kind and heart-warming words to individuals who consistently showed good manners that displayed a Bible influenced behaviour. We would also like to add that the Lord is displeased with Christians who treat others disrespectfully and as if they are nothing (Matthew 23:12; Luke 15:25-30; Luke 18:11-12). This behavior hurts the God of Heaven, and He will exercise judgement on their behalf (Exodus 22:23). Do to others as you would have them do to you (Luke 6:31). Finally, even in this age of rapid technological evolution where people are wise in their own eyes, and good morals are increasingly being looked down upon while bad morals are widely being accepted (Isaiah 5:20-21), please remain holy (set part for the Lord) (1 Peter 1:16) in all your interactions, whether “offline” or “online”. “Do not be deceived: “Bad company ruins good morals”” (1 Corinthians 15:33). Have you been displaying bad manners, hurting others, and therefore dishonoring them while displeasing God? If so, seek the Lord in repentance and ask Him to change your heart and attitude. If you would like to accept Jesus Christ as your personal Savior, please get started by praying this Prayer of Sincere Repentance.